Designed to enhance the pipeline of future nurse leaders, faculty, and researchers, the Doctoral Advancement in Nursing (DAN) project used strategies to identify, encourage, and support students interested in pursuing doctoral degrees. This important work focused on graduates of accelerated and traditional nursing programs who came from groups underrepresented in nursing or from disadvantaged backgrounds. Through mentoring relationships, students were guided through the application process and received expert advice that helped to identify sources of financial support. Resources that supported this program can be located on this page. On March 1, 2016 the current online mentoring program accepted its last scholars. This cohort of students participated in the program and completed their mentoring cycles on August 31, 2016. We invite you to continue to use these resources to inform your preparation in planning to enroll in a nursing doctoral degree program. Readiness Self-Assessment for Doctoral Study: To assist nurses considering DNP or PhD nursing programs, the DAN project developed a brief Student Self-Assessment tool. Each question lays out a framework that leads a student down the path of self-reflection and gauges their level of interest in a post-graduate degree. This self assesment was made available on the American Association of Colleges of Nursing website in December 2016. DAN Whitepaper: Faculty shortages at nursing schools across the country have limited student capacity at a time when the need for nurses has continued to grow. Budget constraints, an aging faculty, and increasing job competition from clinical sites have contributed to this emerging crisis. The decline in the number of doctorally-prepared nursing faculty has hampered efforts to adequately address the nation’s overall shortage of nurses. The 2011 Institute of Medicine Report, The Future of Nursing: Leading Change, Advancing Health recommended that nurses achieve higher levels of education to respond more effectively to the demands of an evolving health care system and the changing needs of patients. 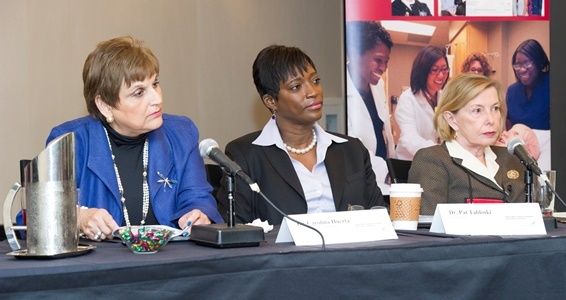 Specifically, this report recommended doubling the number of nurses with a doctoral degree by 2020 “to add to the cadre of nurse faculty and researchers, with attention to increasing diversity.” As stewards of the profession, more doctorally-prepared nurses are needed to serve as role models, mentors, teachers, and leaders responsible for shaping how nurses are educated and how they practice. DAN Faculty Toolkit: This toolkit is a resource for nurse faculty advising undergraduate nursing students on post-baccalaureate study. Materials in this toolkit are intended to help faculty guide students who are in the process of deciding whether to attend graduate school. DAN Student Toolkit: This toolkit is a resource for nurses who are considering applying to either a Doctor of Nursing Practice (DNP) program or a Doctor of Philosophy (PhD) program. It can be used to help plan for and gather information about DNP and PhD programs, and ultimately decide on the best program of choice. Mentoring Webinar for DAN Mentors: During this webcast, Dr. Lois Zachary discussed the benefits of mentoring for both mentees and mentors, as well as the various approaches to the mentoring process. The powerpoint is available here and Q&A is available here. Carolina González-Huerta, a graduate of Texas A&M University, chair and professor of the Nursing Department at The University of Texas Pan American in Edinburg, Texas. She was the 2008 recipient of the American Nurses Association Mary Mahoney Award. Dr. González-Huerta has received HRSA scholarship awards for educational and economically disadvantaged students. She has served as a grants reviewer for the Texas Higher Education Coordinating Board Nursing Innovative Grants Project; AACN Master’s Conference Abstract Reviewer; AACN Johnson & Johnson Minority Scholarship Reviewer 2007, AACN Board of Directors 2007-2008; and Robert Wood Johnson Foundation, Anderson Rural Health Project 1998. Teri Murray graduated from Saint Louis University and works as dean of the School of Nursing. She is a Robert Wood Johnson Foundation Executive Nurse Fellow alumna. Her Robert Wood Johnson Foundation leadership project focused on Transforming Baccalaureate Nursing Education through Inter-professional and Inter-institutional Partnerships and Identifying Innovative Partnerships in Clinical Education. Her work is focused on the influence of the various educational pedagogies used in clinical education to promote student learning; facilitating transition to the practice arena; and providing safe, patient-centered, evidence-based care, such that the health status of individuals, families, communities, and populations is improved and enhanced. She has been the recipient of many grants and served as a grant reviewer for the U.S. Department of Health and Human Services, Health Resources and Services Administration, Bureau of Health Professions, Division of Nursing. She has presented nationally and authored or co-authored numerous publications, including a paper in the landmark report, The Future of Nursing: Leading Change, Advancing Health. She has reviewed several refereed nursing journals and served on the editorial board for the Journal of Nursing Education. Patricia Tabloski has committed her career to the teaching, practice, and study of gerontological nursing. She has served as an associate professor at the William F. Connell School of team for over 20 years. The team provided primary care to nursing home residents at all levels of care. Additionally, she established the first Geriatric Assessment Clinic at the University of Massachusetts Medical Center and arranged clinical placements for many nursing, medical, and social work students over the years. Dr. Tabloski has conducted research to improve sleep and reduce delirium using non-pharmacological interventions. She has numerous publications, presentations, and citations that attest to her accomplishments as a scholar, clinician, and researcher. She has gained a national and international reputation as an expert in the nursing care of the older adult. She completed the third edition of her award winning text book entitled Gerontological Nursing (2013). Dr. Tabloski has been awarded fellowship by the Mayday Society, the American Academy of Nursing, and the Gerontological Society of America. making application to nursing doctoral programs. 2. Disseminate evidence regarding doctoral education in nursing.